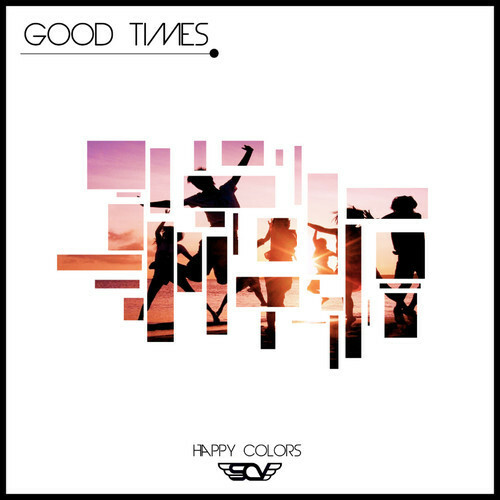 Here’s a very tasty new track off of SAV and Happy Colors new split EP “Good Times”. SAV (Stephen Velasquez), is one half of one of the best moombahton acts out there, Sazon Booya. New York based duo Sazon Booya called it quits over a month ago due to differences with promoters, their label Rot10, and personal conflict within the group. These issues came to a light at their March 22nd show in Miami when, having been taken off the label the day in previous, SAV performed alone as Sazon Booya. His set was cut short due to members of the show promoters unplugging his setup. All that followed was what I assume to be chaos and he said they said. Having been in music scene for a long time, no one ever wants to deal with these kind of situations, and it’s disappointing in the fact that this was handled so unprofessionally. All the fans present witnessed the conflict first hand. People go to these events to have a good time and dance, not to see people air out their dirty laundry. Putting aside industry drama, I wish nothing but to see these guys succeed in their future endeavors. Following all that drama, SAV more than created a new name for himself with this smasher of a track. SAV, and Miami based moombahton producer Happy Colors, put out this 3 track EP last week. All 3 tracks are incredible, but this one stands out the most. The samples are cleverly arranged and immensely spot on and the drums are put together very well. What carries a moombahton track overall is the beat; if the drums are clean and flow, like a reggaeton drum beat would, that sets a track of this kind over most if the production shows quality like this. The fact they threw in a good amount of drum fills makes really throws you a curveball. The chorus, or drop, carries the classic high pitch stabbing Dutch House Synth line that can get you dancing no matter where you are and what music you dig. The trumpet samples tie together this whole track. This is an incredible release and overall great EP. I’m glad artists are still putting out quality moombahton, and maintaining the elements that make the young genre great. I can’t wait to hear more stuff from these guys. You can download this EP for free on Soundcloud, and who doesn’t love free releases that are this great?